An impressive centre offering furnished office-spaces on flexible terms. Here, tenants can benefit from high-speed internet, meeting rooms, break-out areas and a stunning balcony complete with a view over the Atlantic ocean. All work-spaces maintain good levels of natural light as well. Additionally, the local district is home to plenty of amenities to be enjoyed outside of work. These include; cafes, shops, restaurants and hotels. The centre is easily accessible via convenient road, rail and bus links. 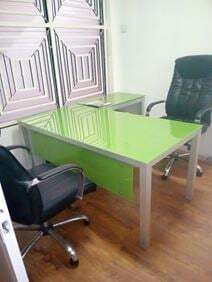 This centre is located in Ikoy, perfectly situated to develop your business in a vibrant area, with numerous links to other commercial entities within the local area. Here, businesses can take advantage of the 24-hour access, as well as a host of other amenities including; spacious meeting rooms, conference facilities, dedicated reception desk and high-speed internet. Surrounding the centre is a diverse range of local amenities including bars, restaurants, hotels and shopping opportunities. Despite the secure on-site free parking, the area is also very well connected in terms of public transport, making it an idyllic location to set up your business as it expands. 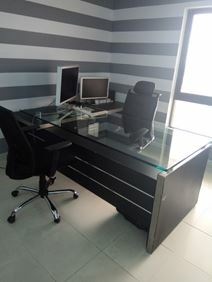 Located in the commercial area of Victoria Island, this business centre aims to provide the best service to clients, ensuring you can work efficiently, productively and comfortably. The business centre is surrounded by a range of local amenities including eateries, banking facilities and public transport links. With plenty of large organisations in the neighbourhood there is ample opportunity to network within the industry.